An interview with Elisa and Heidi, Co-founders of Young Finnish Design and students of Aalto ARTS. In our last Kiuas Startups blog Sakari talked about the lack of startup founders coming from the research field. Another challenge arising is the lack of designers in the startup ecosystem — from the perspective of founders and also in the early recruiting of startups. Kiuas is located in Otaniemi, the home of Aalto University campus. We’ve been successfully helping students from the schools of business and technology to build their ideas, but Aalto University’s school of design, Aalto ARTS, has been a bit out of our reach because the school has been located elsewhere. In spite of that, last year we started to build a gateway through Kiuas and Aaltoes for designers and design students to enter the startup world, and help them to understand the possibilities it offers. We will continue this mission in the upcoming years as well, now with the synergies the Aalto University’s art department’s move to Otaniemi campus will bring — this fall the Otaniemi campus will finally also be the home to the design school. In this process two design students, Elisa & Heidi, found their way to Otaniemi, Startup Sauna, to the Kiuas program in early 2017. 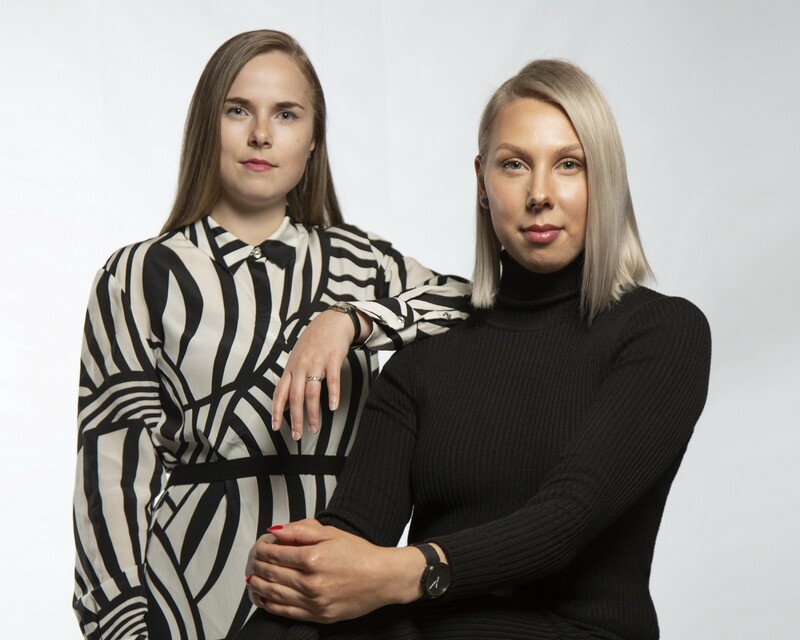 Now Elisa and Heidi are the founders of Young Finnish Design, a startup helping young Finnish designers to bring their prototypes into life through crowdfunding. 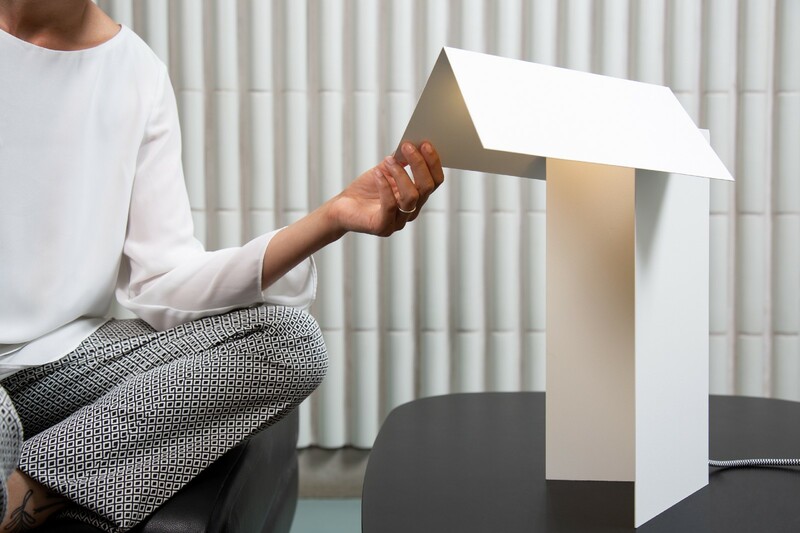 Young Finnish Design is a great example of design founders benefiting from the help the Kiuas program offers, especially in the business and legal fields, but also in the different stages of the Kiuas program. In 2017, Heidi & Elisa were a part of Kiuas Incubator, searching for the right business model. When the business idea was found and validated, the team moved on to Kiuas Accelerator, a 10-week summer accelerator, to move from the validated idea to paying customers through an Indiegogo campaign. We sat down with Heidi and Elisa to discuss what it’s like to be a design founder and how the Kiuas program has helped them during the process. Elisa and Heidi, how did you end up founding Young Finnish Design? We are furniture designers from Aalto University and we discovered a problem while we were showcasing our own furniture at design fairs in New York, London and Helsinki. The problem is that we designers lack the skills and money to manufacture and sell our products. And, on the other hand, customers don’t have a place to buy furniture by young talented Finnish designers. As you both come from a design background, what kind of challenges have you faced in building the company? In the business world we have had to adapt a new way of thinking, which still challenges us everyday. We started from scratch because in the design school there was no courses of business, entrepreneurship, or how to make a living as a designer. This is why we are constantly outside of our comfort zone, but that’s what drives us forward everyday. Vice versa, what have been your advantages coming from design field? As designers we have a different way of approaching business and we can think outside the box. Running a business is about constant problem solving and learning from errors, so we try to keep the creative thinking with us all the time. Also, a huge advantage is that we know our target group, the designers, because we are designers ourselves. We know from experience what kind of challenges young Finnish designers are facing. We know about the design process, prototyping and product development and what it means to work with manufacturers. Did your careers as entrepreneurs come as a surprise to you or has it been your dream for long? As a starting point a career as an entrepreneur has not been a clear or evident goal for us. The idea of becoming an entrepreneur has evolved throughout time and it’s really a way of trying to solve a meaningful problem independently. What have you learned during the journey? We have learned to stay optimistic and to endure uncertainty, and now we see that otherwise it really would be a challenge to succeed as an entrepreneur. Also in design we have learned to be ready to make fast decisions and “kill your darlings”, so to speak, in case that’s needed. We have also realized how important it is to have two co-founders instead of one because we can share ideas, inspiration and responsibilities in order to develop the business together to the next level. Do you think there is enough help and support for design entrepreneurs in the Helsinki area startup ecosystem? We are one of the first design founders in the Helsinki startup ecosystem and this is why we have faced the lack of examples and experience from other design startups. In that sense we have had to find our own way in some situations. Hopefully in the future there will be more design startups so that the ecosystem would have special insights for new design founders — and maybe we could encourage designers to think of entrepreneurship as an alternative path. What has Kiuas given to you? How has Kiuas helped you? Being a part of Kiuas has given us the courage to take the first steps to start our own business. From Kiuas we have received help regarding funding, legal matters, sales, marketing and relevant connections. The support of Kiuas has given us the courage to go forward with our business without having a business background ourselves. Designers can also be entrepreneurs, we all can! Interested in founding your own startup? Check out our website or contact us on Facebook!